Are you ready to take charge of your life and to create positive lasting change, once and for all? The Miracle of Change asks you this very powerful question: If not you...then who? 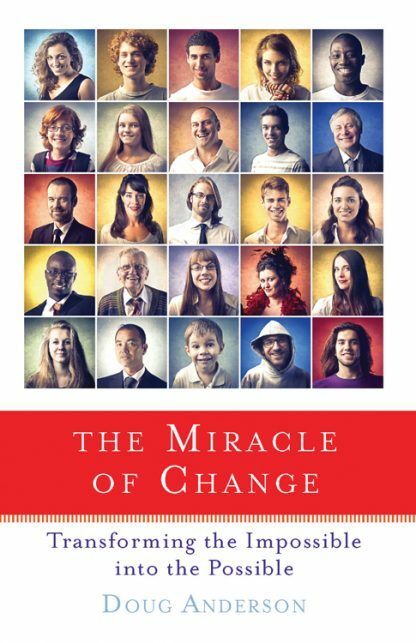 Have you ever thought, �There has to be a better way?� The Miracle of Change in its simplicity masterfully empowers you to the life you desire at home, at work, and at play. � How to gain freedom to choose your life every step of the way. � How to release yourself from old traps and beliefs you�ve used to avoid success. � How to find joy, happiness, and success you�ve never thought possible in all aspects of your life. � How to recognize that your pain comes from resisting change. � Guidelines and skills that will show you how to create the life you want and desire. Doug Anderson guides you to become a player in your daily life, using the challenges at hand to make this shift easier for yourself. Once you learn his simple yet powerful guidelines and tools, you�ll be well on your way to experiencing new levels of ease, flow, and success in this new paradigm. The Miracle of Change transcends binding, negative beliefs and transforms the power of force into the power of love, creating breakthroughs in people�s lives they never thought possible. Doug Anderson founder of 21st Century Dynamics� is a Psychology of Vision trainer, and a life coach specializing in business coaching and leadership training. He is a visionary, a leader and a pioneer with a clear and realistic understanding of our current times. His powerful communication style, skills and empathy help empower others to align with their true intentions, goals and visions, through a process of inner discovery, self-awareness, emotional intelligence and maturity. Doug loves blending humor with real life experience and works from the premise that life balance plays a major role in one�s overall success. Accountability, directness, enthusiasm and intuition are some of his personal strengths. The Miracle of Change is his first book.